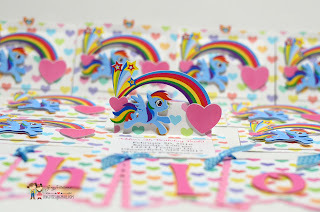 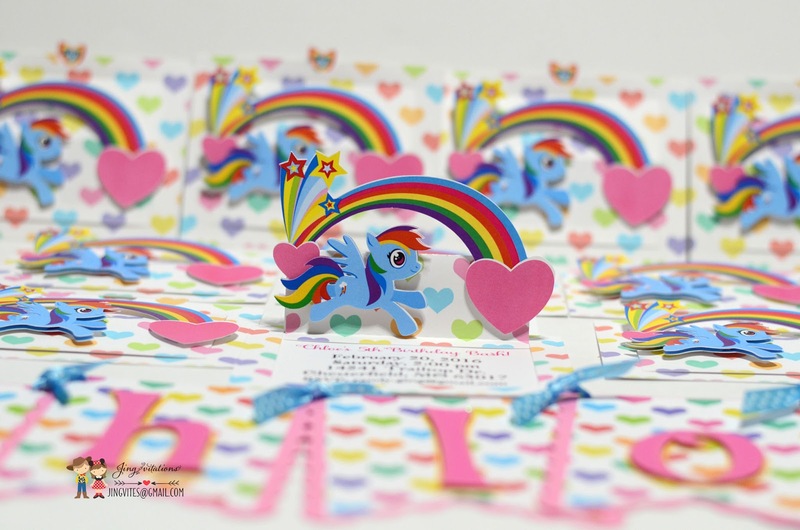 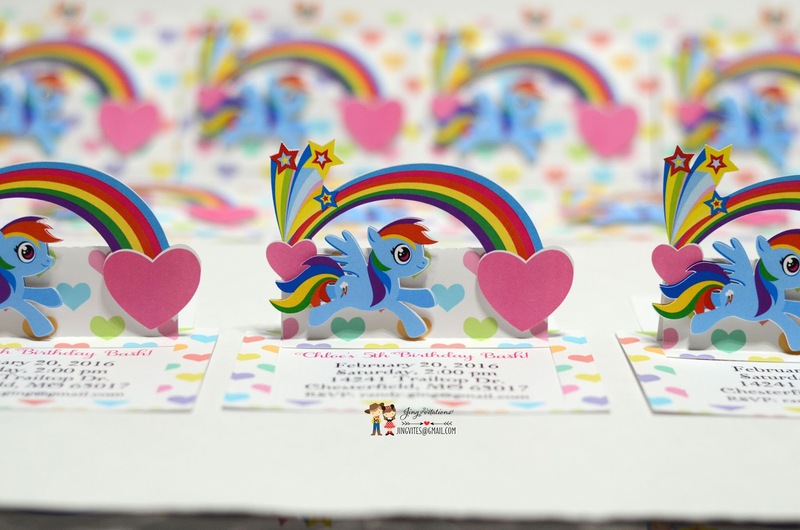 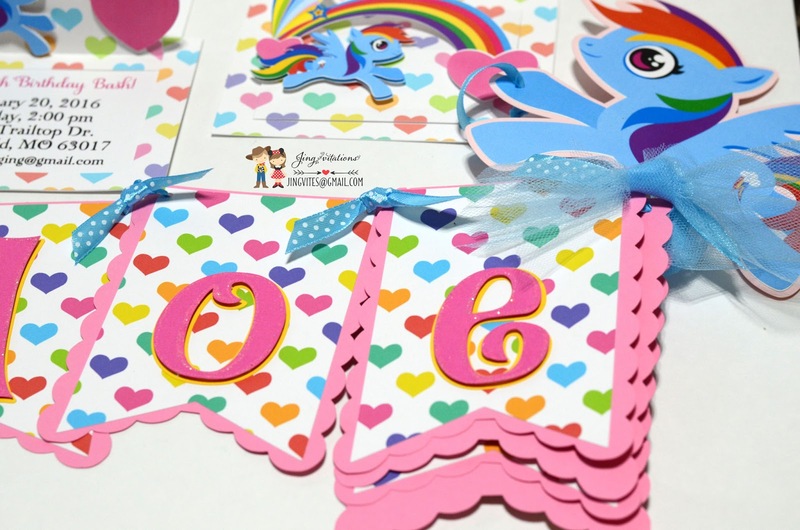 Colorful pop up design with rainbow heart. 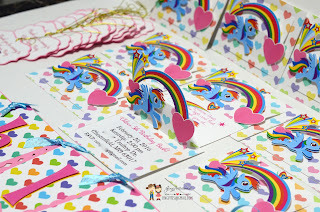 Little Pony character can be changed. the rest of the Equestria girls! 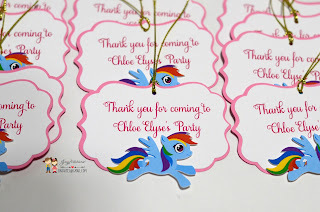 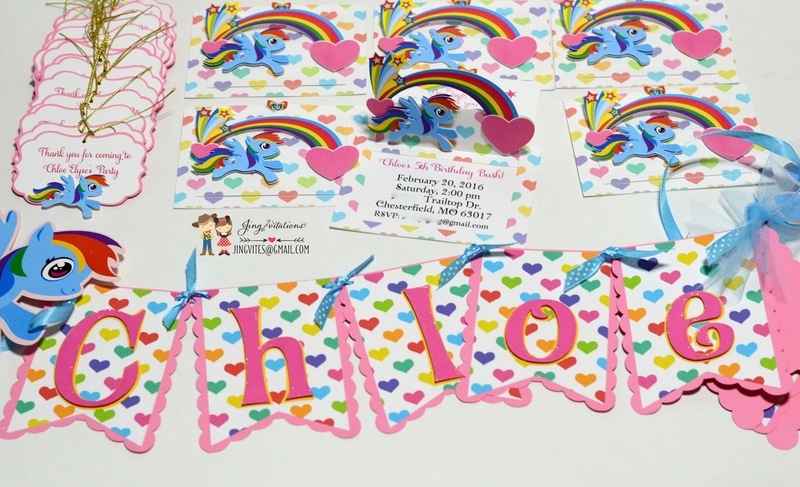 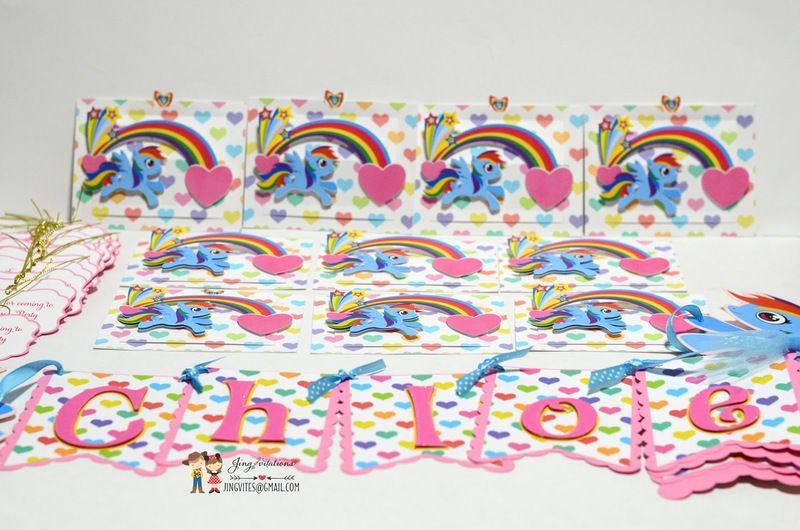 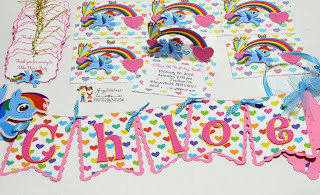 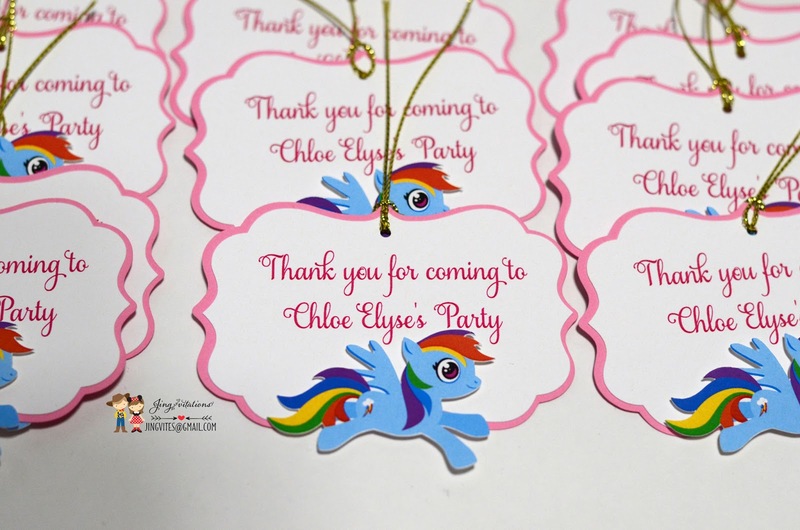 Matching party banner, gift tags, door sign available.